How do I know that the items are 100% genuine? 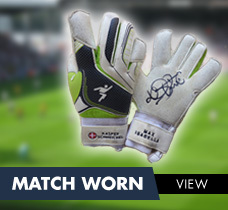 We have been trading at www.footyautographs.com for many years and have sold thousands of items around the world. We have many repeat customers who choose to only buy from Footy Autographs. You don’t trade for many years and in such high volume if you’re selling fake autographs. Although many items that you see offered for sale have been obtained by Footy Autographs, we do also source items from some of our top contacts, with whom we have done business over a number of years and can trust 100%. 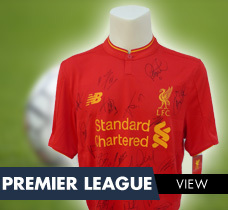 Footy Autographs has direct links with Premier League sponsors and at many top Premier League clubs up and down the country. 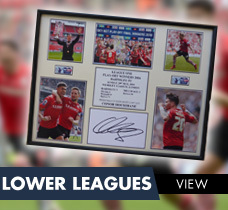 It has taken Footy Autographs many years to build our reputation as a genuine supplier of top quality genuine football memorabilia. We do not intend to risk our reputation by selling fake autographs. 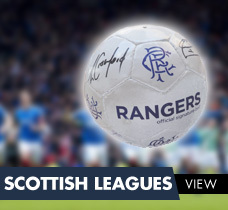 Is every item of memorabilia on the website available to purchase today? Every item for sale on the website is available for immediate purchase. As our stock is also available for immediate purchase through our ebay shop it can take up to 24 hours to remove an item from our website that has been purchased through the shop. We apologise for any inconvenience this may cause. If you live outside the UK, delivery times will inevitably be a bit longer and unfortunately is out of our control. In the very unlikely event that you wish to return an item, please contact us and we will do our very best to sort out any problems as quickly and as efficiently as possible. Does this item come with a COA? COA stands for Certificate Of Authenticity. Every item of memorabilia sold by Footy Autographs is issued with a COA that certifies the item as genuine. The COA will include a photograph of the exact item that you have purchased as well as a close-up of the autograph itself. Will you authenticate my autograph collection? Although we do have expert knowledge in the field of football autographs, we unfortunately do not have time to authenticate autographs from external collections. Can you donate an item to our Charity Night? We receive numerous charity requests every week for donating items and although we are unable to offer donations we are always happy to offer generous discounts on bulk orders.